SAN FRANCISCO, Calif. /California Newswire/ — Wholesale Trading Insurance Services, LLC (WTIS) announced today that industry veteran Chris Kiley has joined the firm as Managing Director/Property Broker. WTIS is a privately-held wholesale insurance broker created and managed by industry veterans whose goal is to better align the business interests of the retail broker, the wholesaler and insurance carriers for the benefit of the buyer. WTIS has substantial expertise in Property, Casualty and Professional/Management Liability. “With over 20 years of property broking and underwriting in N.Y., Chicago and San Francisco, Chris brings WTIS and its retail broker-clients significant experience and knowledge of all facets of complex property brokerage. In addition, his expertise in real estate and specialty property are recognized nationally by the key carriers that participate in those sectors,” said Kristopher Bauer, President of WTIS. Kiley joins WTIS from AmWins Group, Inc. where he was an Executive Vice President and served in various other capacities, including National Property Practice Leader for several years. 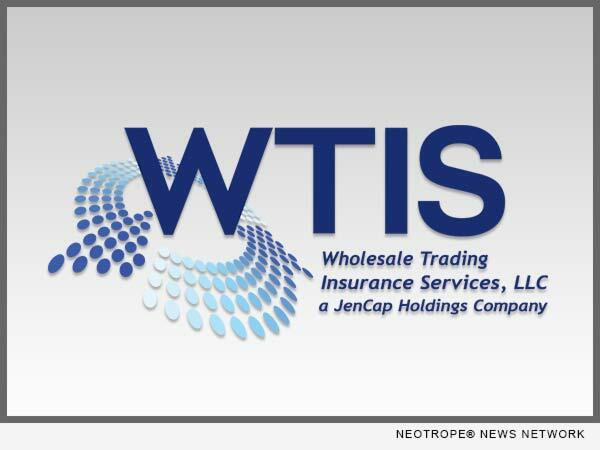 “The addition of someone with Chris Kiley’s depth of talent, professionalism and customer focus underscores the ongoing commitment to excellence and service to our clients not only at WTIS, but throughout the JenCap distribution network,” commented John Jennings, President and CEO of WTIS parent organization JenCap Holdings, LLC. JenCap Holdings is a consolidator of specialty insurance distribution and program management businesses, including managing general agencies, specialty program underwriters, transactional wholesale brokers and captive managers. JenCap Holdings has assembled a management team with the sector insight and experience to drive organic growth and strategic acquisitions leveraging technology and advanced data analytics. JenCap Holdings is headquartered in New York.